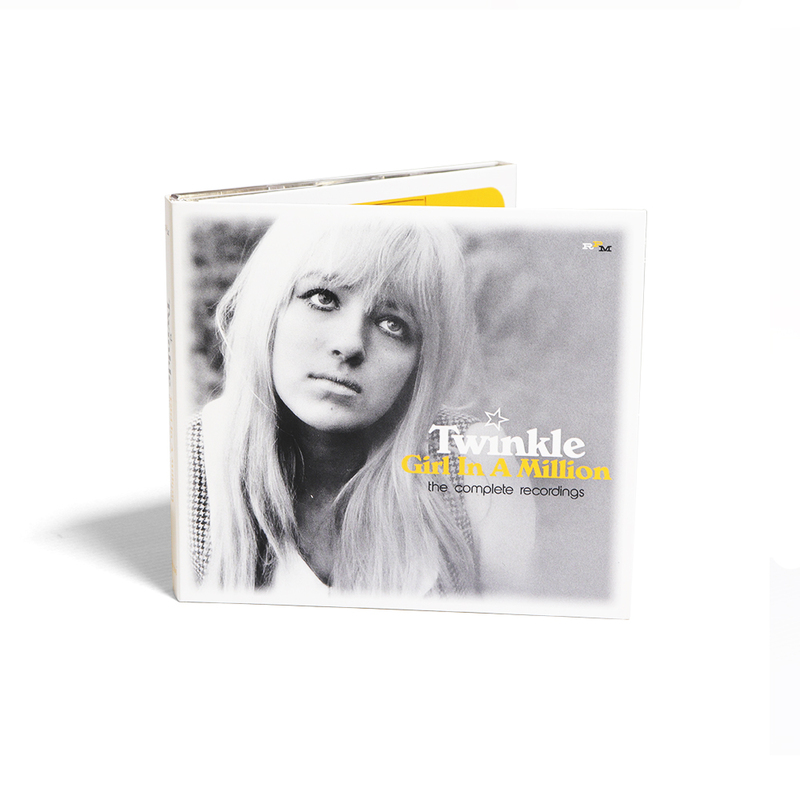 Take a look into RPM’s latest box set, the ultimate tribute to the recording legacy of Twinkle, ‘Girl In A Million’. Twinkle shot to fame in 1964 with her self-penned “death disc” ‘Terry’, which reached No. 4 in the UK charts and catapulted the singer born Lynn Ripley to fame. A string of excellent 45s followed on her record label, Decca, which included the classic ‘Golden Lights’ (No. 21 UK), which was later covered in the 1980s by The Smiths, Morrissey being a huge fan (and eventual friend) of Twinkle’s. 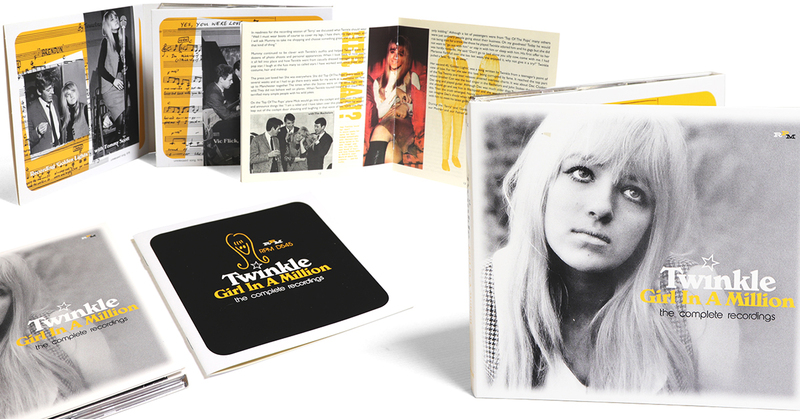 In 1969, Twinkle returned with a one-off single on the Instant label, ‘Micky’. Thereafter, she recorded for several labels including President, Bradley’s and EMI. Sadly, Twinkle died in 2015. All of her Decca sides are included (with two stereo mixes, belatedly issued in the 1970s, making their CD debut). 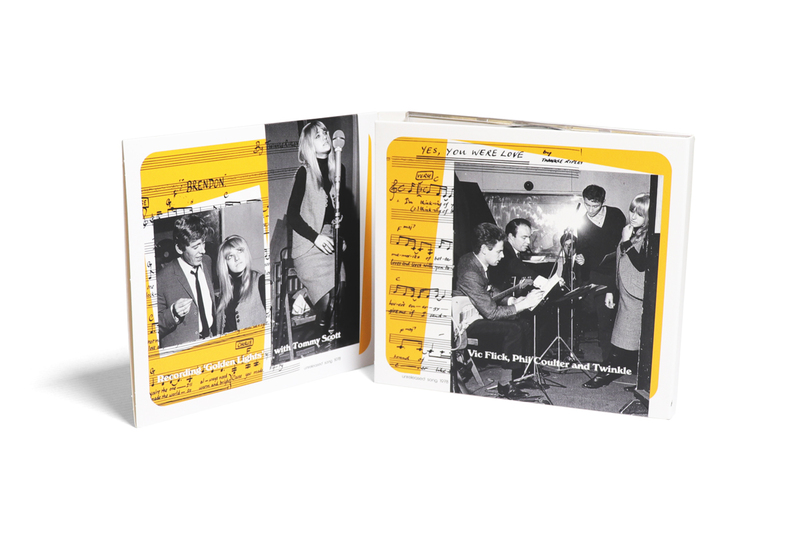 Likewise, this beautifully presented 2-CD set boasts everything which followed on subsequent labels. In addition, we have uncovered several previously unissued tracks by Twinkle. In 1971, she recorded a single for President Records, ‘Take The Trouble’ b/w ‘Michael Hannah’. ‘Michael Hannah’ – written about the love of her life – was later re-recorded during her time at Bradley’s but remained in the can until an archive release in 2003. The package is fully endorsed by Twinkle’s family, including elder sister Dawn, who was a music journalist in the 1960s and helped secure a recording contract for her sibling. Dawn has written a very personal account of Twinkle’s career, offering a fresh and unique insight into her life and her music. 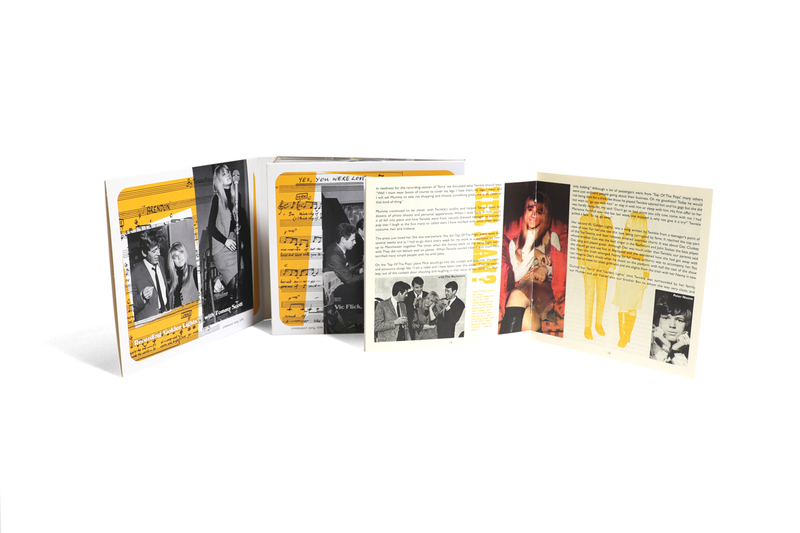 Housed in a plush-looking Digipak, GIRL IN A MILLION is the ultimate tribute to a genuine talent of the British 60s scene, who has continued to inspire fans and performers ever since.